Albanian writer Ismaíl Kadaré has been bestowed with the 2009 Prince of Asturias Award for Literature. The decision was announced by the Jury in Oviedo today. Narrator, essayist and poet, Kadaré represents the pinnacle of Albanian literature and who, without forgetting his roots, has crossed frontiers to rise up as a universal voice against totalitarianism. Regarded as one of the greatest European writers and intellectuals of the 20th century, his works have been translated into over forty languages. Ismaíl Kadaré, considered one of the greatest authors in world literature, was born in Gjirokastra, Albania in 1936. As a boy he witnessed World War II, the occupation of his country by Fascist Italy, Nazi Germany and the Soviet Union, until 1944 when the communist dictatorship of Enver Hoxha was established in Albania. At the age of seventeen he won a poetry contest in Tirana, earning him an authorization to travel to Moscow and study at the Gorki Institute, from which he was expelled in 1961 because of the break in relations between the Balkan state and the USSR. Whilst attending the Muscovite institute he wrote The General of the Dead Army, which was enormously successful in France. Thanks to this novel, he obtained a sort of immunity in his country for representing national pride, even though he did not submit to communist dogmas. Forced by the regime, he was a member of the Albanian parliament from 1970 to 1982. In 1990, a few months before the collapse of the dictatorship, he exiled himself in Paris, the city where he has lived since, although he visits Albania frequently. 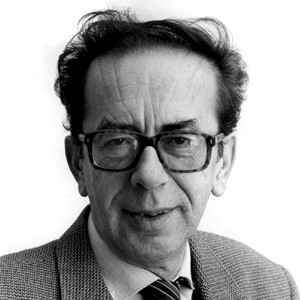 A great scholar of Albanian traditions and the idiosyncrasies of this Balkan state, his works take place around various incidents in his history, such as the break between Albania and the USSR, The Great Winter (1977); Catholic and Orthodox rivalries, Doruntine (1980); and the split between Tirana and Beijing, The Concert (1988). One of the most typical features of his work is that it is permanently open: Kadaré will rework his writings, poems become stories, stories grow and become novels and these, occasionally, will be reduced to stories. Another characteristic is how he recaptures Humanity's great concerns and debates, taking them from oral tradition and classic literature, from Aeschylus, Homer, Shakespeare, Cervantes and Chekhov, and placing them within a contemporary context. However, the central theme of his work, expressed in each of his books, is totalitarianism, its mechanisms and the complicities that make it possible. This literary obsession reaches its climax in The Palace of Dreams (1993), published in Albania in 1981, when the communist dictatorship still governed. In this work, the Albanian writer builds an immense parable on despotic perversion, where in an imaginary country, a mammoth machine at the service of absolute power, the Office of Sleeping and Dreaming, controls the dreams of its citizens. Despite the fall of communism, Kadaré continues to give voice to the soul of totalitarian societies, such as in Three Elegies for Kosovo (1999) and In Front of a Woman's Mirror (2002). His latest releases are Life, Death and Representation of Lul Mazreku (2007), Agamemnon's Daughter (2003) and The Successor (2005). He is a member of the Academy of Moral and Political Sciences of Paris, one of the five that make up the Institut de France, a member of the Berlin Academy of the Arts and an officer of the French Legion of Honour. In 2005 he received the International Booker Prize. In addition, he received an honorary degree from South East European University (Republic of Macedonia). The Prince of Asturias Foundation's statutes establish that the aim of the Awards is to acknowledge and extol "scientific, technical, cultural, social and humanistic work performed by individuals, groups of individuals or institutions at an international level." Consonant with this spirit, the Prince of Asturias Award for Literature "will be bestowed upon the person, institution, group of people or group of institutions whose work or research constitutes a significant contribution to universal culture in the field of Literature of Linguistics." This year a total of 31 candidatures from Albania, Argentina, Belgium, Canada, Cuba, Czech Republic, Chile, France, Holland, Hungary, Iran, Ireland, Italy, Japan, Macedonia, Mexico, Nigeria, Peru, Poland, Portugal, Rumania, United Kingdom, United States, Uruguay and Spain ran for the award. This is the sixth of the eight Prince of Asturias Awards to be bestowed in what is their twenty-ninth edition. The Prince of Asturias Award for the Arts went to Norman Foster, the Prince of Asturias Award for International Cooperation was given to the World Health Organization, the Prince of Asturias Award for Social Sciences was given to British naturalist David Attenborough. The Award for Communication and Humanities went to the National Autonomous University of Mexico (UNAM) and the Scientific and Technical Research Award was jointly granted to American engineers Martin Cooper and Raymond S. Tomlinson. Prince of Asturias Awards for Sports and Concord will be announced in September.